The word “Champagne” is revered worldwide. 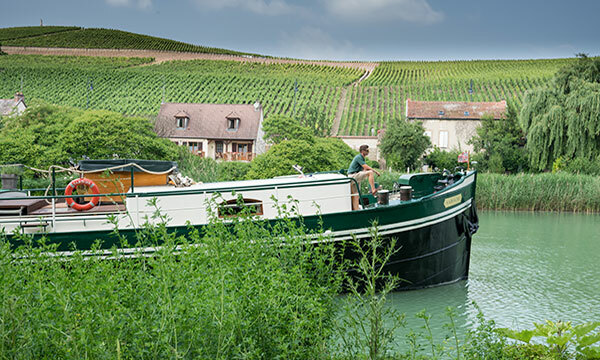 Venture into a world of boutique vineyards and scenic charms, which guests aboard barges in Champagne will explore. Wine production began here in the 16th century; combined with its natural resources, and proximity to Paris, Champagne’s status was solidified as a powerful and prosperous region. Today, picturesque countryside of vine-covered hills, enchanting castles, and woodlands play host to a handful of barges as they ply these antique waterways. Taste Champagne IN Champagne – and cruise through a gorgeous region where vineyards line the shore and the history of World War I comes alive. The city of Reims boasting its famous Cathedral, where the kings and queens of France were crowned. For history buffs, visits to the somber but impressive World War I monuments are a must. Walking and bicycling along the canal’s towpath provides opportunity for active guests to explore. Tour Moet et Chandon where millions of bottles of champagne are stored in its cellars! Of course, no visit to Champagne is complete without a comprehensive immersion into the bubbly liquid for which the region is celebrated. 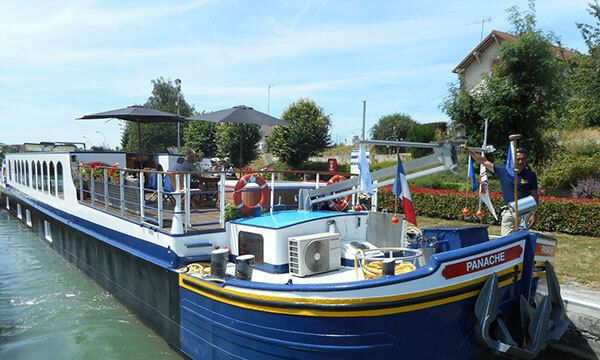 Barges cruise on the River Marne, Canal de L’Aisne a la Marne, Canal du Marne et Saone. Champagne’s inland waterways were originally designed for the purposes of trade. Initially completed in 1866 and then rebuilt after being entirely destroyed during World War 1, the Canal de L’Aisne a la Marne speaks to the military history so prevalent in the region. The Canal du Marne et Soane has seen phases of work throughout the 19th and 20th Centuries, completed in 1907 after an the addition of another extension. Obviously, a great draw for champagne-lovers (but remember that wines from all regions will be served on board). 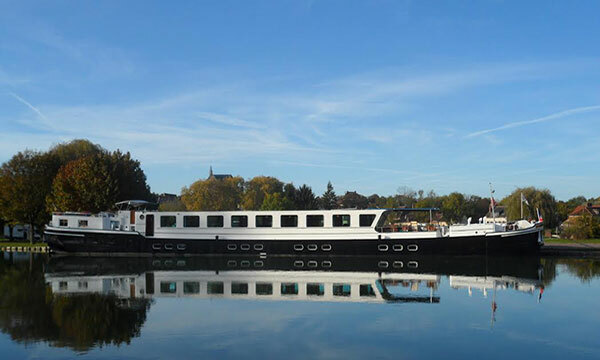 A two-hour drive from Paris, barges in Champagne offer round-trip chauffeured transfers to and from the City of Light. For those in transit from other countries or regions, train service to and from Reims is fast and reliable. We find that travelers do not realize how much this region has to offer! 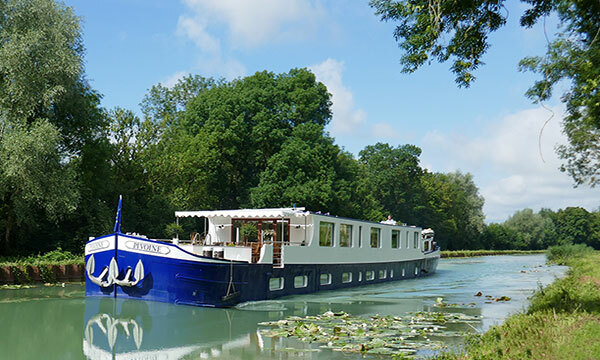 We recommend a cruise in Champagne as an extraordinary element of a longer European vacation.